initialization, so you may use references at the end of this article to obtain details. During a security analysis, Positive Technologies specialists detected a critical security error in the Emerson DeltaV distributed control system. While having access to the system, an intruder is able to read and replace its configuration files, and to run commands with any user's rights. The vulnerability affects DeltaV versions 10.3.1, 11.3 and 12.3. Emerson’s DeltaV is a general purpose process control system that is used worldwide primarily in the oil and gas and chemical industries. During security analysis, experts often deal with default accounts. Particularly, it is very usual for large companies having several hundred systems. That’s why one of the main requirements is to use complex non-dictionary passwords to comply with security standards and best practices. obtaining and checking passwords or their hashes from the system. The former method can cause account lockout and thus is often found unacceptable. The latter one is preferable, but gives another problem if passwords are encrypted or hashed. 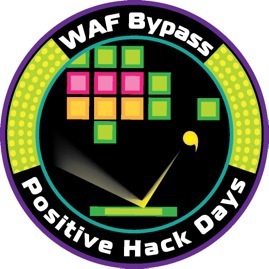 Positive Hack Days CTF is an international information protection contest based on the CTF (capture the flag) principles. Several teams are to defend their own networks and attack the networks of the other teams for a specified period of time. The contestants need to detect vulnerabilities in other teams' systems and to obtain sensitive information (flags) while detecting and fixing vulnerabilities of their own systems. Today we would like to analyze certain interesting tasks that were offered to participants of the past contests. This year PHDays CTF takes place for the fourth time. The contest was launched during the Positive Hack Days forum in 2011. Back then, the team PPP from the US was the winner. The following year in 2012 Leet More from Russia took first place. In 2013 at PHDays III, Eindbazen from the Netherlands took the top prize. Teams from all over the world — from the USA to Japan — participate in PHDays CTF every year. More than 600 teams from all over the world have registered to take part in this year’s PHDays CTF. Traditionally, tasks and infrastructure are prepared based on a legend of the contest, which would turn a set of tasks into a fascinating competition. Last year, PHDays CTF participants tried to save the fictional world D’Errorim. The upcoming contest will continue the plot. The vulnerability was found in Feedburner. First, I created a feed and tried to inject malicious data. No success there. Injected data just wouldn’t show up, only harmless links were presented. I took a few more attempts and then I found lots of messages from PodMedic. PodMedic examines links in every feed. If it finds troubles in creating a feed, it reports the cause of such troubles. The messages read that links are incorrect because the content type returned was a text type.